All boat reservations should be made two weeks in advance. Cancellations accepted up to 72 hours prior to rental period. No charge for standard life jackets. Sorry, no pets on rentals. 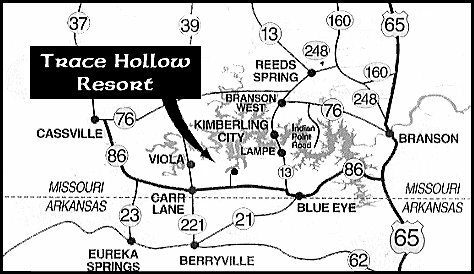 Deposit required on all boat reservations. 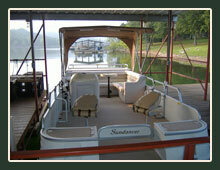 All day rental on fishing boats is from sunrise to dusk during peak season (June through August). Prices subject to change without notice. Please contact us for current pricing. 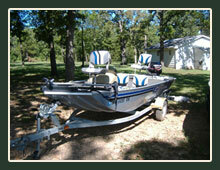 All boats are the price of the rental plus gas and oil used. *Boat stalls are $8.00 per day.